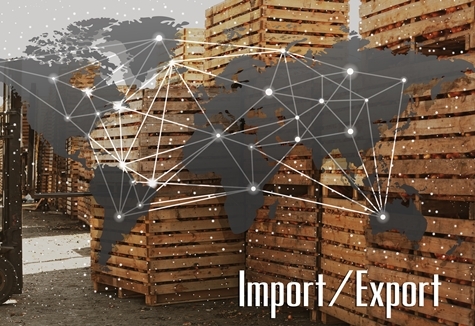 Our first blog post in this series looked at why changes are needed in the regulatory systems affecting imported food, and how the EU is dealing with this crucial issue. Today’s blog post examines the approach being taken by Canada and the United States. After an evaluation that started back in 2016 with a public consultation the Canadian Food Inspection Agency (CFIA), published a policy statement assessing that “in determining the level of risk associated with a regulated party or their establishment, the CFIA may assess the requirements of a private certification scheme used by the regulated party against food safety regulatory requirements and factor the assessment results into its risk-based planning and prioritization”. 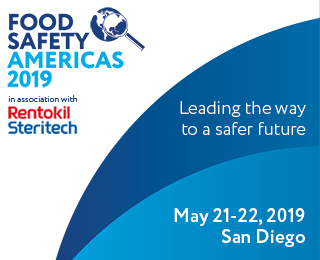 A prominent factor that might contribute to success in this area is the Global Food Safety Initiative’s (GFSI) benchmarked standards and guidance around the practical application for introducing a private certification scheme. A similar stand has been taken by the Food Standard Agency (FSA) in the United Kingdom (UK) in the new Regulating our Future (ROF) strategy, which hearkens back to 2014 when Professor Chris Elliot suggested the same approach to curb food fraud in his 6th pillar (audit) contained in the Elliott Review into the Integrity and Assurance of Food Supply Network. 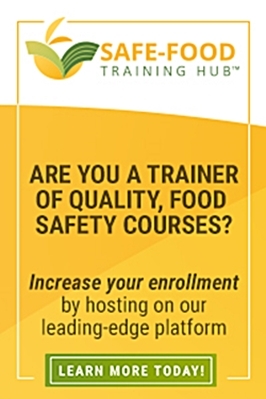 Finally, the US Food and Drug Administration (FDA), within the scope of the Food Safety Modernization Act (FSMA), is starting in this very moment to give practical implementation to the Accredited Third-Party Certification Program: this is a voluntary program in which the FDA recognizes “accreditation bodies” that will have responsibility for accrediting third-party “certification bodies.” The certification bodies will conduct food safety audits and issue certifications to foreign food facilities to establish their eligibility for participation in the Voluntary Qualified Importer Program (VQIP)—which offers expedited review and entry of food—or to prevent that harmful food from entering into the USA. In January 2018, the FDA announced ANSI-ASQ National Accreditation Board as the first recognized accreditation body for this purpose and this is an implicit admission that the FDA – with luxury budgets compared to the ones available to most food safety authorities – cannot bear the full costs of inspecting all food business operators producing food for the US market. General trends indicate that controlling authorities of every country should shift to a more preventive approach and try to maximize their effectiveness if they want to address upcoming challenges: most of them can barely suffer the burden of actual controls, without including emerging and not fully-addressed issues, like food fraud, environmental claims, ethical labeling and animal welfare. While in developing countries the private-public-partnerships (PPP) in most cases aim to build controlling systems, in mature economies they can save such systems from breaking down. The main objections to a broader adoption of PPP models has been that private participation in the public controlling system might undermine its independence and impartiality; but in my experience, in practical terms, there is no such thing as a flawless system, regardless of whether the financing and the management are 100% public or mixed. The historical data that we have to live with and cannot change is that the scarcity of resources today is undermining the very same capacity of our systems to ensure safe food for our consumers. As western countries, we are still enjoying the best food safety standards in the world because we built systems where the main responsibility to grant such standards rely on the food business operator. We have to continue that way. It is not a matter of “if” PPPs will be an option in the future of food safety, it is just a matter of when and how. Cesare Varallo is an Italian-based speaker, author and food lawyer who advises clients internationally on food safety, food labeling and food regulatory issues through his company, foodlawlatest.com. His work at the intersection of science, law, business and social studies, builds bridges between different cultures, stakeholders and backgrounds. Partnerships with technical experts and other international advisors allow him to offer a multidisciplinary and multi-jurisdictional service that assists clients in 60 countries. Cesare teaches food law at several Universities, including LUISS in Rome, Alma Mater in Bologna and MSU in the USA.